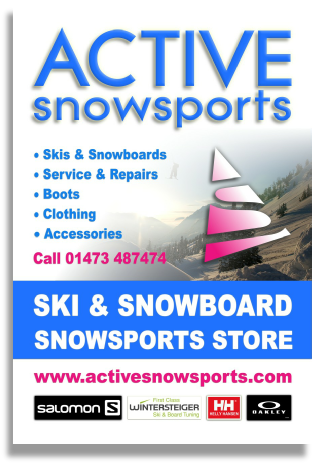 Suffolk Ski & Leisure Park in Ipswich is the focus for Ski and Snowboard Activity in Suffolk, Norfolk and Essex! As well as the above activities we offer a range of lessons, instruction and coaching for golf, skiing and snowboarding, via complete beginners courses, dedicated 1 on 1 private lessons, through to group discounted sessions, advanced ski race training and instructor training sessions. Children are a big part of the Suffolk Leisure park and we offer satisfying and developmentally beneficial activities for kids and made accessible to the young ones with kindergarten ski play, ski race training, and a Saturday ski workshop to build all skiing skill levels, as well as a range of other fun activities. So whether you are looking to try a new adrenaline filled experience, learn a new activity, get fitter, learn in a more cost effective way prior to visiting a UK indoor snow centre, brush up on your technique prior to your winter holiday, or just simply looking to having some fun, Suffolk Leisure Park is the place for you! Come and try ‘The Lodge’ for Fine Dining, Lite Bite or Italian Coffees. Great refreshments, the perfect place to eat and relax after you’ve enjoyed the facilities. Here at Suffolk Leisure Park in Ipswich, there is so much fun to be had with great confidence building activities that develops the mind as well as the body of children and adults alike. 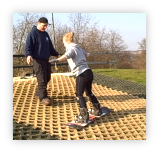 Skiing, Snowboarding, Tobogganing, Ringos, Climbing Wall and High Ropes Experience. We also offer Golf with the Ipswich Golf Driving Range, Mini Golf Course, and putting green. 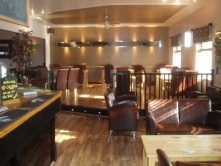 There is also ‘The Lodge’ Bar and Restaurant, so there really is something for everyone! Please note! - All our activities run in all weathers - toboggans, skis, snowboards and ringo’s run faster in the rain…and even faster in the snow!!! !